Full-Spectrum Family Medicine: Our graduates are well prepared to obtain full hospital privileges including critical care medicine and obstetrics. We are national leaders in maternity care. Opportunities exist for procedural training in colonoscopy, vasectomy, caesarian section, OB ultrasound, colpolscopy, LEEP, and more. Expert Faculty: Our faculty, many of whom are national or international academic leaders in their field, have expertise in an array of specialty areas including integrative medicine, global health, sports medicine, developmental disabilities, medical law, maternity care, medical informatics and more. Statewide Osteopathic Collaborative: Each of our residency programs is dually accredited by the Accreditation Council for Graduate Medical Education and the American Osteopathic Association/ American College of Family Physicians. Diverse Practice Settings: Our residents have opportunities to experience a broad range of practice settings before graduation, including rural areas, urban, suburban, underserved and international. Fellowships: We offer both research and academic fellowships following residency training, including integrative and sports medicine tracks. Local and State Connections: Residents gain experience in local communities, and also benefit from the unique opportunities from our large statewide academic department. Community Service: Residents are meaningfully involved in projects that make a difference in the lives of people in their communities. Research and Publication: As one of the top five departments nationwide in total NIH awards, and more than 50 currently funded grants, we offer residents excellent opportunities for research. Residents also have many opportunities to write articles for publication with guidance from our faculty. A Great Place to Live: Wisconsin has a dynamic economy, great schools, and four-season recreation. It is ranked among the best locations in the country in quality of life. 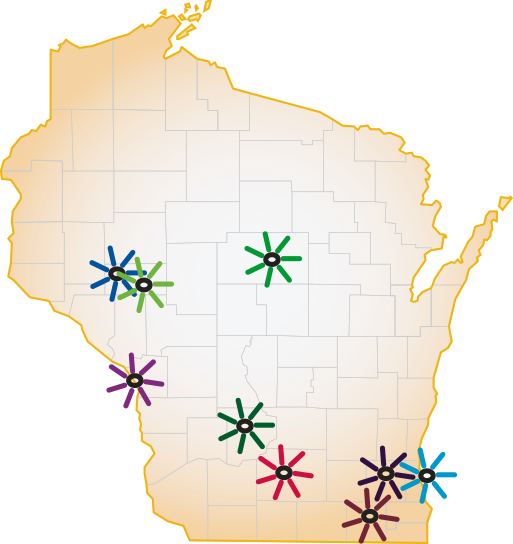 Generous Benefits (PDF): The UW DFMCH is pleased to offer generous and competitive benefit packages for residents in our programs in Baraboo, Madison, and Wausau. We invite you to apply to one of our programs, or contact us for more information. Join us in Wisconsin! Download our program inserts PDF for more information about each of the UW residency programs, benefits, and 4th year electives. Applicants can also review our Resident Employment Manual.